It may seem easier to juggle payments around each month, hoping your financial situation improves so you can get out from under the burden of dealing with debt payments. Unfortunately, things tend to accumulate and eventually this can lead to bankruptcy. 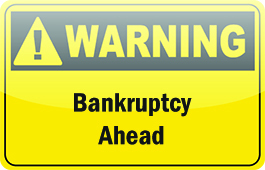 So, here are the top 5 personal bankruptcy warning signs. If any of these apply to you, consider talking to a bankruptcy trustee. The earlier you call, the more likely we can help you avoid bankruptcy. 1) Your minimum monthly payments are larger than your normal monthly income. 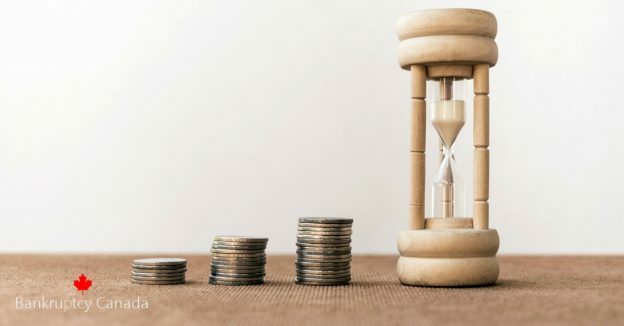 This is a biggie – if you are paying out more money than you have coming in every month then it is time to speak to someone about your money problems. If you are not sure whether or not you fail this test, add up all of your minimum monthly payments and see what you come up with. While you are it, you should record the total you owe an each debt and the interest rate. This information will come in handy when you are trying to decide how to deal with your debts. 2) You have more than one debt in collections and/or legal action has commenced against you. Only a very small number of people are sued every year for unpaid bills – collectors threaten lawsuits all the time, but rarely actually follow through. If you have more than one debt in collections that means you have fallen behind on your minimum monthly payments on more than one debt. Once you get behind it becomes increasingly more difficult to catch-up again. 3) You have more than one payday loan. I absolutely hate these things. I understand the need. If you have to have cash today and don’t get paid until Friday what can you do? Unfortunately, I’ve seen far too many people get trapped in a never ending cycle of loan after loan after loan. Worst, in many cases, they take out a second, third, or even more loans. It is a house of cards that will collapse around you if they are not dealt with. 4) You’ve stopped answering your phone or opening the mail. If you are afraid to answer the phone or open your mail because collectors have been calling then it is time to speak to someone about your debts. You may not need to file bankruptcy or a consumer proposal, but if collectors are calling you ignoring the calls will not make the problem go away. You have to deal with your debts. 5) You’ve become irritable and anti-social. People often don’t understand this point, but when people find themselves in financial difficulty they can become testy and snap out at the people around them. In addition, they stop “going out” or meeting with other people because they are concerned they can’t pay their fair share. No one wants to be seen as “cheap” so when money gets tight some people retreat into their shell, only coming out when they absolutely have to. If money problems have changed your personality then it’s time to deal with them. There are more warning signs out there, but these 5 provide a very good indicator that you should be looking for professional financial help. 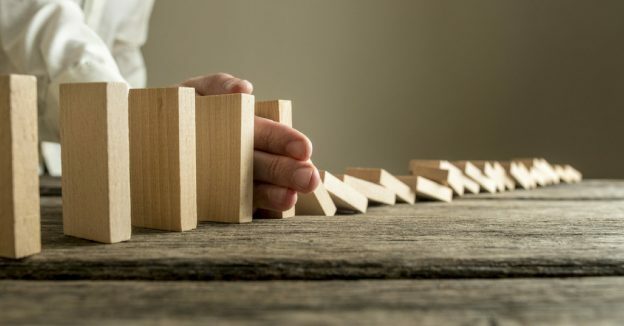 You may not have to file for bankruptcy or a consumer proposal, but left unchecked, each of these warning signs will become worse over time. Take the next step. Contact a bankruptcy trustee in your area for help – there are solutions that you can use to get beyond your current difficulties. In Doubt About Talking To A Bankruptcy Trustee?